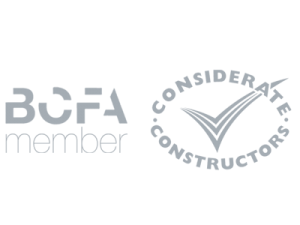 What is the BCFA Student Clinic About? 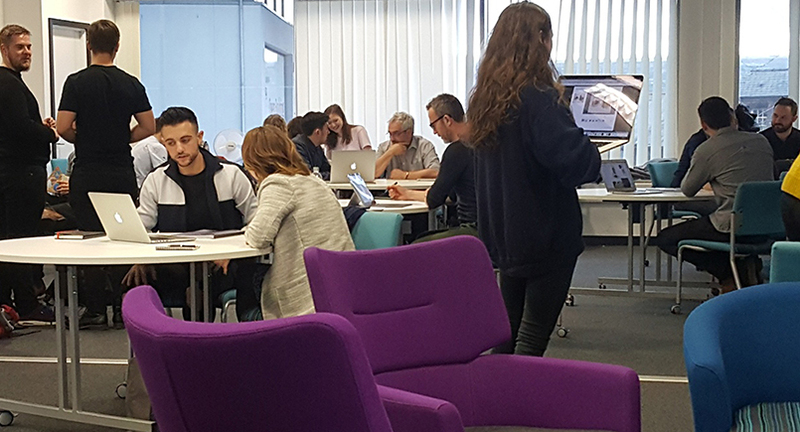 The British Contract Furnishing Association (BCFA) held a one-day event for final year students on Product Design and Furniture Design degree courses that allowed them to connect with expert designers working in the industry. The student clinic event has been conducted in previous years with great success. The day provides students with the opportunity to speak to experienced designers from the contract furniture, design and interiors industry. It allows the design students to ask important career-related questions along with having their portfolios reviewed by industry experts and receive critical insight into the industry that could prove to be invaluable to their future career path. As long-standing BCFA members and with Lee Marvin, our Group Managing Director, sitting proudly on the BCFA Board as Vice Chairman, Chrysalis was naturally more than happy to take part in this latest student clinic event and sent Senior Designer, Louise Shaw, who has worked for Chrysalis for almost 10 years to represent the company. This event was also supported by Dr Lynn Jones Associates who specialises in career advice and is a specialist furniture industry head-hunter. An ideal mix for the students that attended. We understand the importance of nurturing the next generation of design students and providing them with career advice is a great way to ensure they succeed in their desired field. Louise Shaw, Senior Designer, gladly took part in the clinic and strived to help the students in any way she could. After a productive day, Louise was thrilled to have been involved in the student clinic and continues to work towards helping the younger generation of designers. Q. Should my CV be 1 or 2 pages and is it laid out correctly? Louise stated that many students were concerned about the size of their portfolio and if it was laid out correctly. Whilst these details differ between students depending upon the nature of their work, Louise did her best to guide them. Dr Lynn Jones also has some expertise in that area and provided students with advice about their CV’s and how to approach potential employers for work. Louise suggested that from a pure design perspective, CV’s are expected to be creative and reflect the design skills of the individual student. A CV is another way to show an employer that you can think outside the box. This was reiterated by Lynn in her presentation on the day, Lynn stated, “does a CV have to be a few sides of A4?” It could be something really unusual that will catch an employer’s eye”. Q. Should I have more industry knowledge? Louise told students that it’s encouraging when they approach companies and are proactive about potential employment. Students should research the company thoroughly, their clients, and also past projects. There is nothing worse than asking an interviewee what they know about your company and their response is either an awkward silence or a sentence they’ve memorised from your website which shows little evidence of any research. By reaching out to companies and asking for work experience or internships shows promise and enthusiasm in a potential candidate. In regards to interviews, she told them “don’t be afraid to show some of your personality.” Employers are looking for employees with character. Q. Will an employee give me a chance if I have no current experience? This is dependent upon the employee and the specific job role. 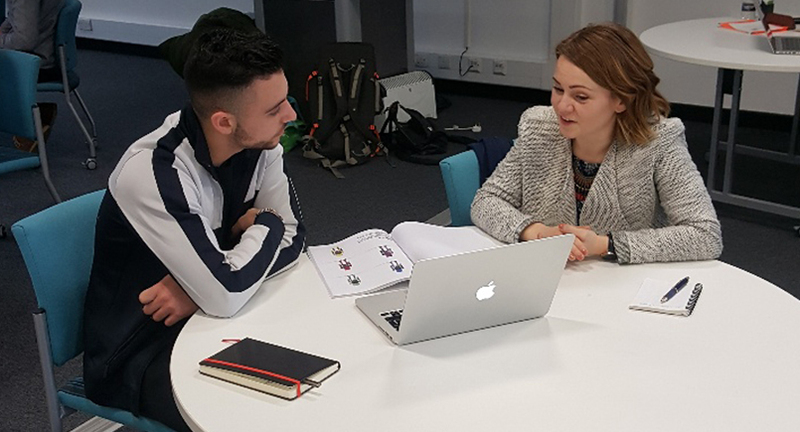 Louise advised students to work on projects outside of their normal curricular activities and use visuals of project research and prototypes within their portfolios, as this shows their willingness to learn and improve their skills. Ideally, they need to be in or have had a similar job role which is why it is important to try and gain work experience or an internship before applying for a vacancy that requires experience. Q. How much of my portfolio/completed work should I present to the client if I get to interview stage? Many portfolios are now online and in digital format, however, initial sketches and hand drawings of concept ideas are just as important as technical CAD drawings or photographs of the finished product or project. Employers are keen to see your progression and the thought process that has gone into a project. Louise also pointed out that by students holding back some physical examples of their projects from their online portfolios at the application stage and not revealing all their creative talents, this would create intrigue and show you have more to offer! Do your background research into the companies that you are approaching, you need to know as much as possible about them, their work ethics, line of work, clients etc. Your CV needs to be clear and concise, but treat it as a project and DESIGN IT!